The 7510 comes with the new version of T-Mobile's T-Zones portal. It has a carousel of items that run across the bottom of the screen. You scroll through them sideways to access different content from T-Mobile, such as music, news/weather, games, wallpapers and themes. It is less cluttered than the old version of T-Zones, and it is nice to have the content sorted into different pages. One important thing to note that this is actually a Java application. Using the carousel icons, you can get to the real Internet by selecting the "Web". With "Web" selected, a search bar spans the top of the screen, and below it is a list of categories to get you started. Once you select anything from this list, it closes the Java application and opens the browser. The 7510 does not have 3G, so it is limited to T-Mobile's EDGE network. 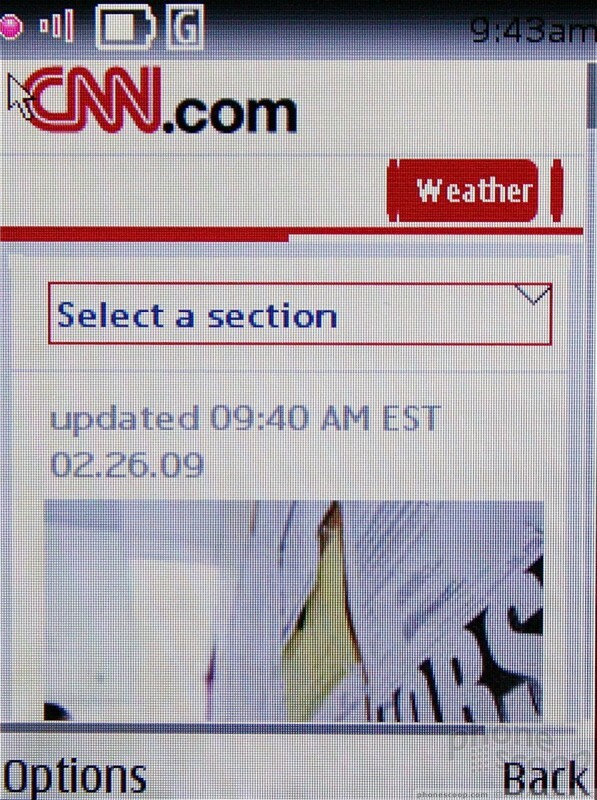 Even so, it brought up sites such as CNN and The New York Times' mobile sites in short order. You can also browse through a Wi-Fi connection. The default is to grab WAP sites, though you can force it to open HTML sites if the option is there. The menu system of the browser gives you enough control to make interacting with the Web manageable. 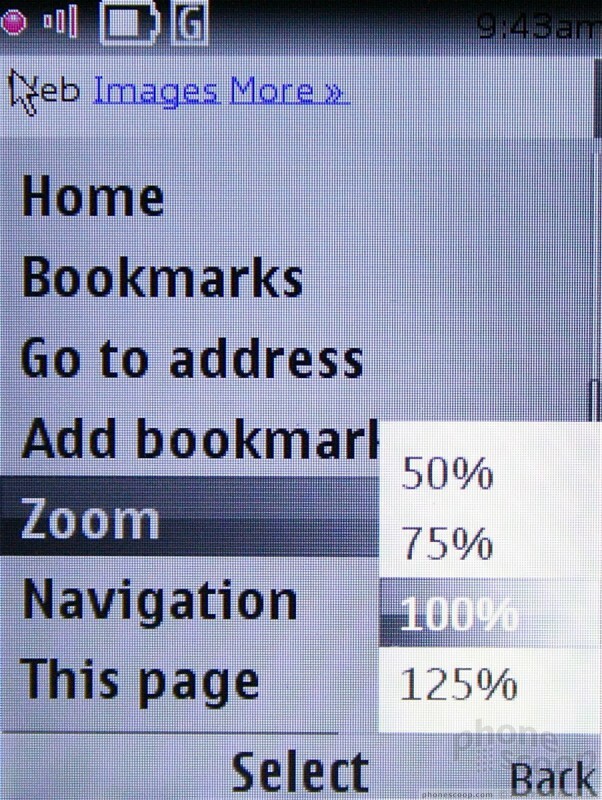 Adding and arranging bookmarks is a snap, you can zoom in and zoom out, open multiple windows, view the screen as a single column or fit the Web site to the screen's size. With Series 40 on board, the 7510 can be customized to the user's satisfaction. Don't like a particular screen, menu or the way a page looks? Chances are you can change it up to something more appealing. The active standby mode is completely customizable. The main menu can be viewed in circle, single, grid, list or tab layouts. It comes preloaded with several themes and a number of wallpapers for the internal and external screens, both of which can be set to different styles and images. You can customize and alter so much about the 7510 that is was a real disappointment that we were not able to use songs from our library as ringtones. We were met with error messages stating that the files were too big.